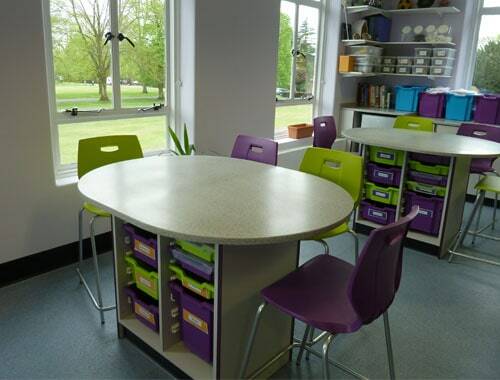 Klick Technology specialise in providing primary school furniture which is durable, practical and good value. Our range of products is suitable for new build projects or to refurbish existing school buildings and we can supply any primary school throughout the UK. 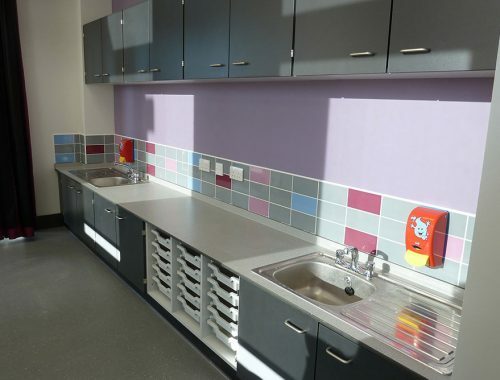 We can fit out specialist areas within primary schools providing furniture for science, food technology, art and cloakrooms. Our Techline IT benching is a versatile product with built in cable management which is very popular for primary school IT areas. Flexibility is key in the primary school environment and Klick can supply any furniture height from 500mm upwards to accommodate children of all sizes. All primary school pupils should be taught the essentials of science to prepare them for the study of biology, chemistry and physics as separate subjects when they commence secondary school. Our expertise in the education sector extends to designing science laboratories for primary schools. It is important to consider the appropriate work top height, services and storage requirements to provide a safe and inspirational environment for the teaching of science. Food is a statutory part of the Key Stage 1 (5-7 years) and Key Stage 2 (7-11 years) curriculum in England. As part of their work with food, pupils should be taught how to prepare and cook food, applying the principles of nutrition and healthy eating. 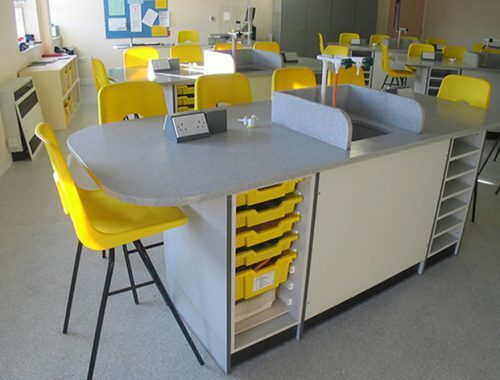 Klick are experienced at installing food technology furniture into primary schools. We can offer advice on the design and provide CAD drawings to illustrate possible layouts. 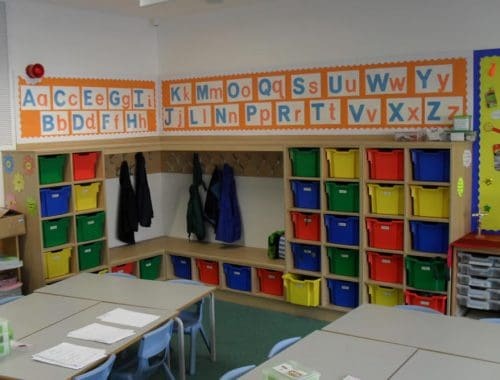 We provide creative storage solutions for primary schools which are essential for the smooth running of a classroom, offering flexibility and maximising space. 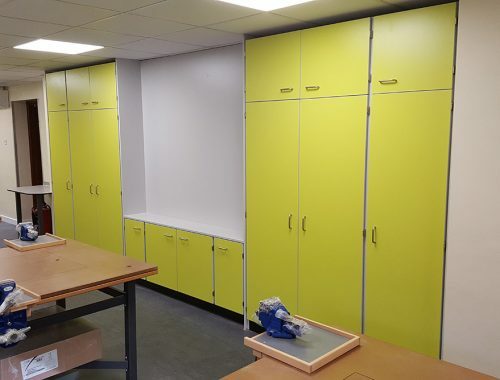 Klick Technology can design & supply bespoke storage walls which are a good use of under utilised space at the front of the classroom. 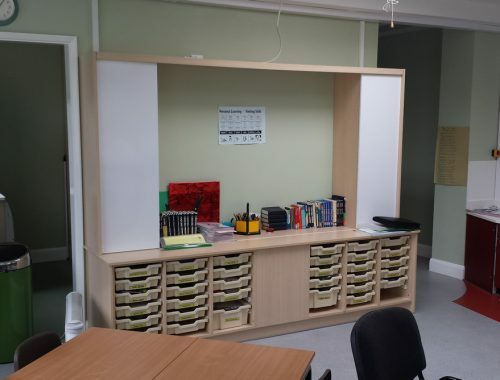 Modular units can feature tray or cupboard storage, interactive whiteboards, pinboards and standard whiteboards to create a flexible resource space easily to hand. 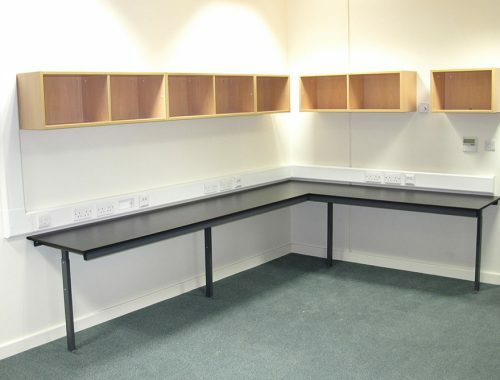 We can also provide bespoke bag storage areas, featuring coat hooks and tray storage if required. These are ideal to de-clutter primary classrooms creating a more spacious environment for practical activities. Our range of trolleys is also useful for storing items for occasional use such as musical instruments or lunchboxes. Our experience of over 35 years in the education sector means that we understand the requirements of primary schools and can help provide the perfect solution for your school. Please call 0161 998 9726 or contact us to discuss any projects within your school. Klick completed the conversion of one of our classrooms into a new food technology room designed specifically for children aged 5-11. Although the project was started in half term, the majority of the work was scheduled for completion during term time. The project was well managed with little disruption to the school routine and was completed on schedule. The staff and children are delighted with their colourful new food room which helps to promote healthy eating from a young age. Browse our latest Primary Schools Case Studies using the arrows below or click to view all case studies.